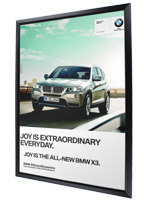 This 30x40 frame offers a quick change solution to framing posters and other business signage. Four hinged sides simply snap open and close to update graphics. 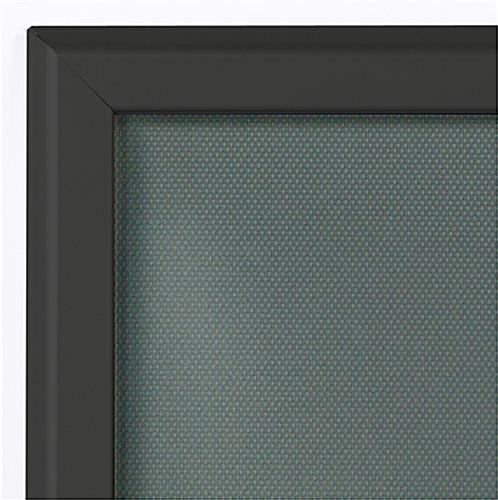 This 30x40 frame features the highest quality aluminum border in a matte black finish. The slim profile design allows users to hang the unit on a wall. 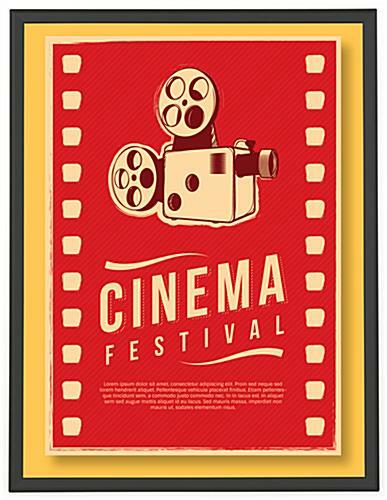 Each 30x40 frame features a backer that the poster rests against inside of the framing and a clear overlay to cover/protect the print. 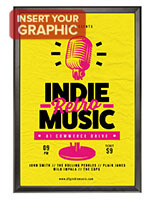 Mount this poster holder vertically or horizontally. 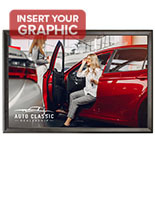 This 30x40 frame features pre-drilled mounting holds that are hidden out of sight. 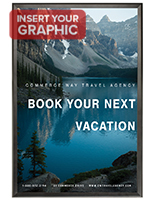 Users should allow for a 1/2" border around the entire poster for the framing edges. 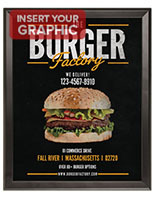 This 30x40 frame that has a viewable area of 29x39 is often purchased by fast food restaurants and other quick serve locations to post promotions and other important menu information in their facility. 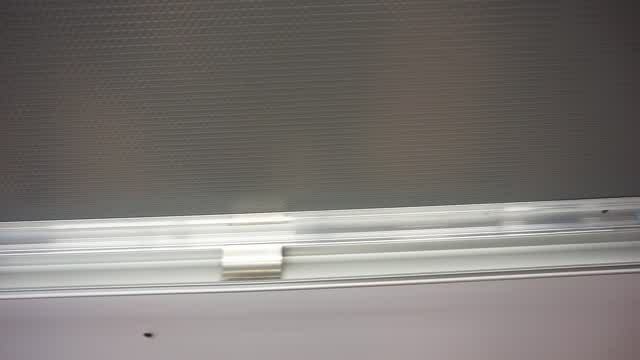 This poster holder mounts easily to a wall with screws and anchors (provided). 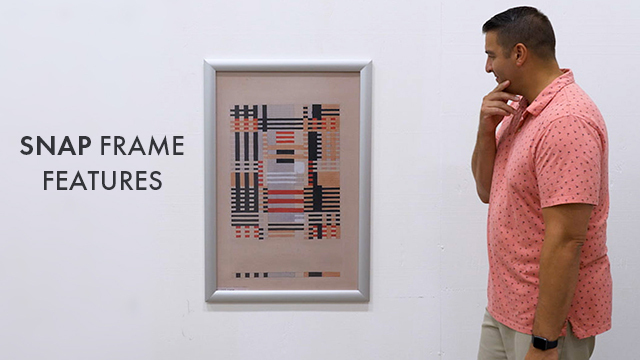 Each 30x40 frame is easy to mount and can be completed by one person in a matter of minutes. 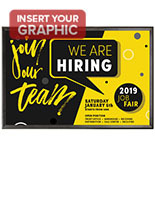 Use this snap open poster holder in lieu of traditional framing to reduce the amount of time spent on changing out signage. Once mounted, this 30x40 frame never has to be removed from the wall. This significantly reduces the time spent normally associated with taking down a display, changing the images, and then realigning the print holder on the wall. This 30x40 frame is also available in several other sizes as well as silver. Compared to competing poster frames on the market, this puts most of them to shame. If you want to display paper prints and not have it look like a kids bedroom, skip the flimsy cardboard and cheap plastic trash and buy these. It's definitely worth the few extra dollars. 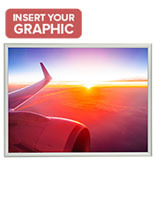 I recently ordered several 30 X 40 Snap-Open Poster Frames from Displays2go. I'm extremely happy with the quality of the frames, their ease of use, and Display2go's prompt delivery and superior customer survey. 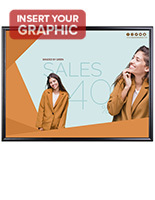 I recommend these frames, and Displays2go, very highly. Thank you so much for the recommendation, Chris. We are so happy to hear how pleased you were with your shopping experience. Thank you for taking the time to leave such a nice review! I'm extremely pleased with the 30 x 40 snap-open, 32 mm profile poster frame which I purchased from Displays2go. 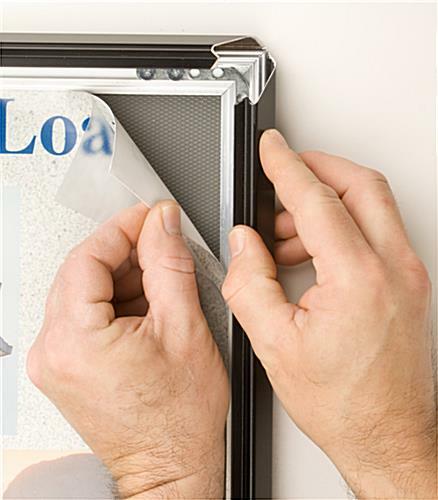 It's well-made, easy to mount the poster, and easy to hang. I've already ordered two additional frames, and will be ordering more in the near future as I complete an office decorating project. Great frames! Great customer service when one arrived damaged. Thank you Connie, and thank you in advance for your repeat business!